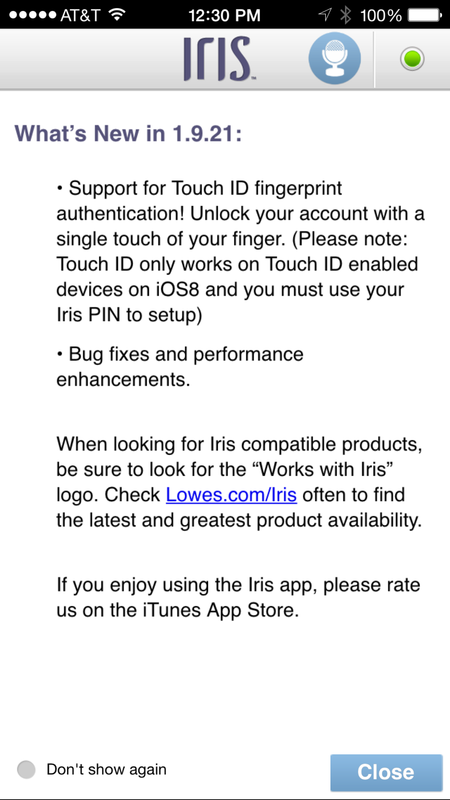 Lowes today released an update for iOS users adding support for TouchID fingerprint authentication. 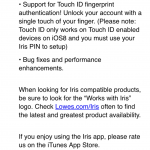 Apple iPhone users with TouchID enabled iOS 8 devices can now take advantage of TouchID support within the Iris mobile app and eliminate the use of passwords. This is a major security and convenience win for Lowes. Visit settings within the Iris app to enable TouchID support. Here’s how it works; after going into settings in the Iris app and enabling TouchID support you will be prompted to enter your current Iris PIN. 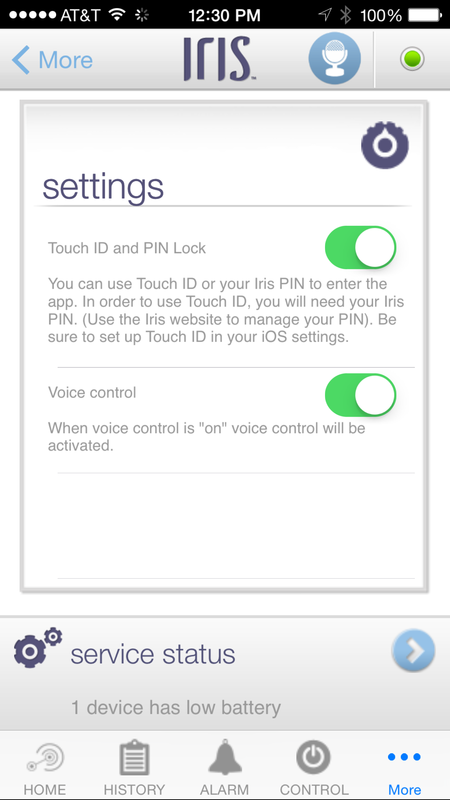 After successfully entering your Iris PIN, TouchID support is ready to use. The next time the app is opened it can be unlocked using either a PIN or fingerprint. Outside of TouchID support there appears to be no noticeable changes or new device support. Please report any new features or changes by leaving a comment below.